It’s hard to be anything but upbeat when you’re clad in neon-bright hues like these. 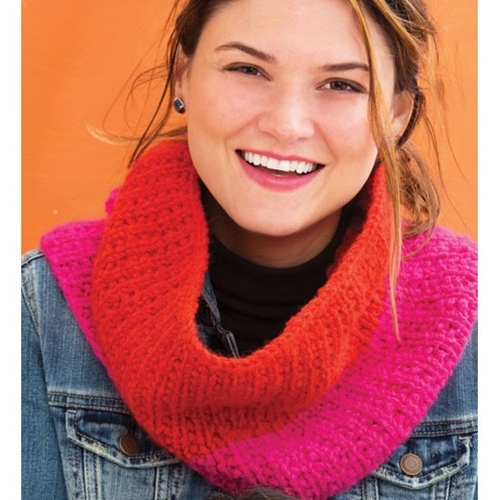 This slouchy style works up quickly in wide stripes of orange and magenta; an easy-to-do broken-rib pattern adds a welcome touch of texture. 13 sts and 20 rnds to 4"/10cm over broken rib pat using larger needles.